Does that equal about 298 microseconds ago? Whoops, forgot a square root. About 5 minutes and 7 seconds? Yeah, that’s what I got too. 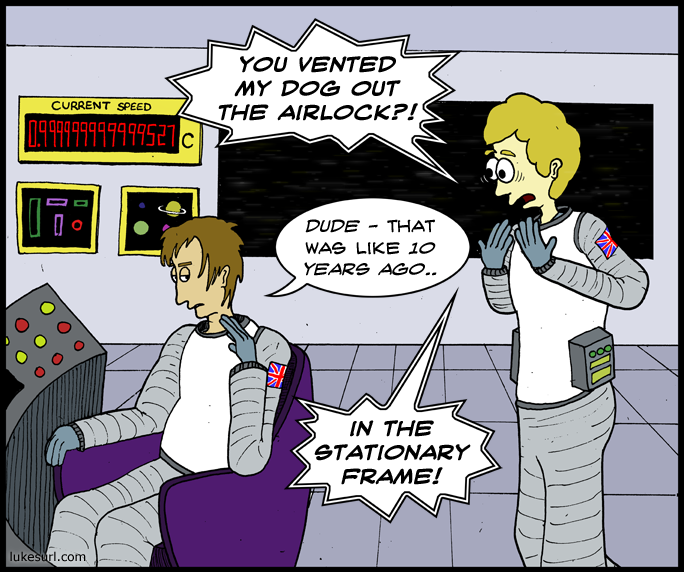 I was about to ask why they’re wearing their space suits whilst inside the ship, but then it struck me. Magnetic shoes.